WAM Updates: Calling all Homeschool Families & Groups! 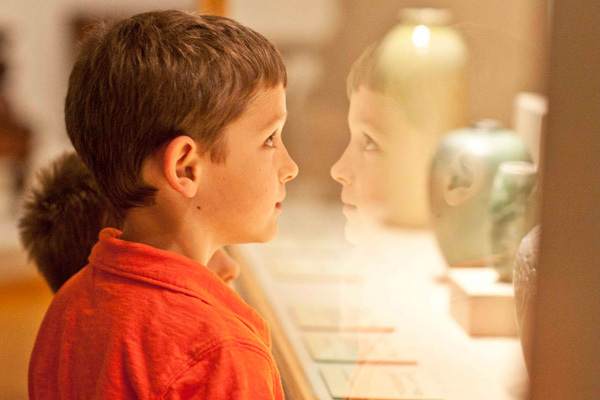 Join us for our new Homeschool Wednesdays at WAM. Make the Museum part of your homeschool studies with this quarterly program designed to complement home-based learning for ages 5 and up. Through a combination of tours and Gallery/Studio workshops, we offer a variety of educational and interactive—and fun!—options depending on your interests and curriculum. Participants will discover the Ancient World, explore the Middle Ages and the Renaissance, learn more about Early American History, or become familiar with WAM through a Museum Highlights Package. The Gallery/Studio workshops feature painting, clay pottery, portraits, illuminated letters, and aluminum tooling. Our upcoming Homeschool Wednesdays are scheduled for March 23 and May 11. To schedule your visit, contact Jan Ewick at 508-793-4338 or janewick@worcesterart.org or Jesse Rives at 508-793-4335 or jesserives@worcesterart.org. Please reserve your spot at least three weeks in advance. Click here to learn more about the Homeschool Wednesdays tours, Gallery/Studio Workshops, the Museum Highlights Package, and associated costs for these field trips. We hope to see you and your homeschool group at the Museum for Homeschool Wednesdays!